Judith Baldwin has been involved with JCN since 2012, a year after the natural &amp; nuclear disasters in Northeastern Japan. She’s been volunteering and helping the JCN shelter in many different ways. We’re lucky to have her with us this month at the Inawashiro shelter. Here’s a glimpse of her journey with JCN. When did you first come to Japan? I came to japan four times prior to the tsunami. I’ve visited several places in Tōhoku, including Aizuwakamatsu & Urabandai. I also went to Rikuzentakata, a city in Iwate Prefecture. Here, I stayed at a Youth Hostel and the manager there was an incredibly kind man. The hostel was 200m from the ocean in the beautiful Takata-matsubara, which was just behind the tsunami wall. This is the (now) destroyed building of the youth hostel. It’s at the back of kiseki no Ippon Matsu (miracle pine). Photo taken in 2012. How did you hear about Japan Cat Network? I wanted to volunteer in Japan after the tsunami. While doing some research on the Internet for volunteer programs, I found JCN. When did you first volunteer with Japan Cat Network? I first came to volunteer at the Inawashiro Shelter in February, 2012. Then I volunteered next in 2013, 2014, 2015 and here I am now in 2017. Any animal rescue experiences you’d like to share with us? Up until about 2014, JCN regularly visited the 30km-restricted zone to set up feeding stations and to rescue animals. A. San, herself an evacuee, usually accompanied us on these feed + rescue missions. Kate O'Callaghan – an amazing volunteer from Okinawa was heading to Rikuzentakata to pick up 2 cats (ham & egg) that belonged to a sick lady. Kate was kind enough to allow me to come with her. 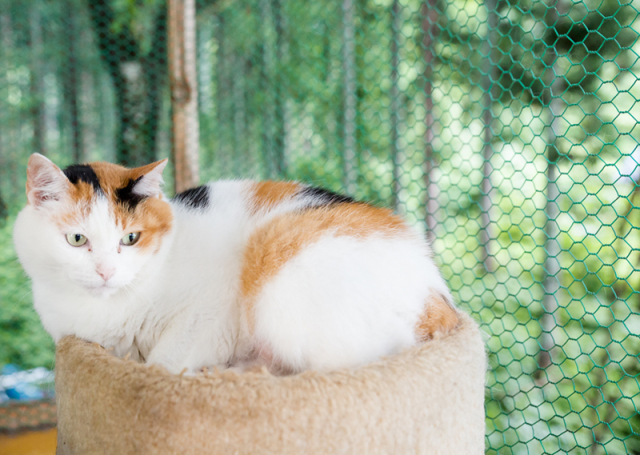 While in Rikuzentakata, Kate’s contact was feeding a female calico stray that was wearing a pink collar. 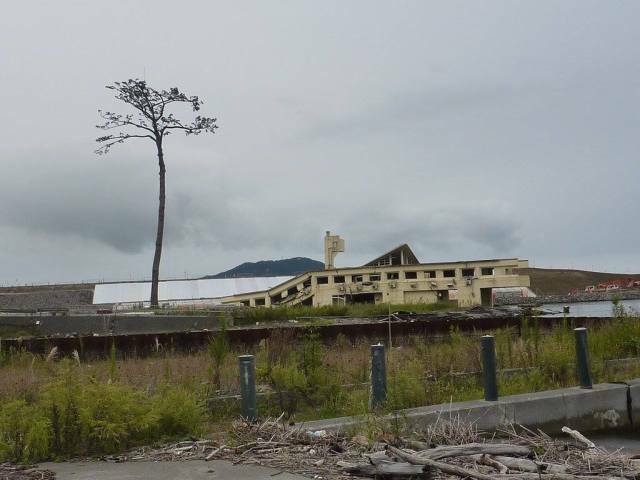 Her guardians couldn’t be found – possibly victims of the tsunami. Kate brought her along with Ham and Egg to JCN. We now know her as Maya at the Inwashiro shelter. 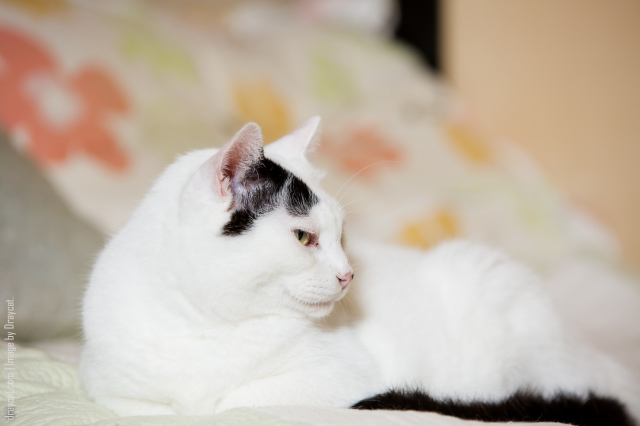 Simon, who’s currently the most loving kitty at the shelter, was actually rescued from the 30km zone. He had already been neutered. He was very frightened and defensive. It often got difficult to handle him. Over time he finally settled down and became friendly. Faye was very hostile. Gail Galt was one of the supporters at the time. She was very good with animals and she managed to calm Faye down. We gave Faye treats and carefully interacted with her. She’s still shy but she’s changing for the better everyday. Anything you’d like to share about JCN? Along with volunteering, Judith and her family also regularly donate to Japan Cat Network during special occasions like Christmas, Mothers Day and Birthdays. She’s also constantly spreading a good word about JCN and all her furry friends at the shelter. Thank you Judith for your constant support and hard work! You can help us run the shelter by donating at japancatnetwork.org/donate. Here are some ideas from Catster, as you get started planning your Sweet Soirée Benefit for JCN! Connect with friends, be creative, have fun, AND support shelter kitties. 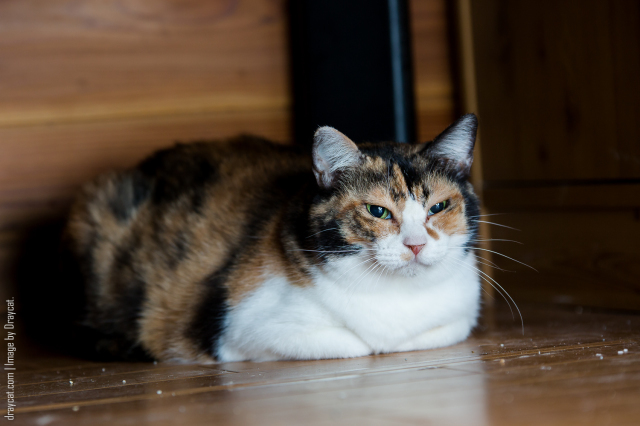 For the purpose of making her more social, Fay is being fostered by Jojo and Nick, in Kyoto. Hear from Nick himself about his experience so far with Fay, and learn how you can make a shy cat more social too.